This revised edition of the 30-year-old classic textbook retains relevant material from earlier editions while embracing new literature, experiences, policies, and approaches that have emerged during the past decade. 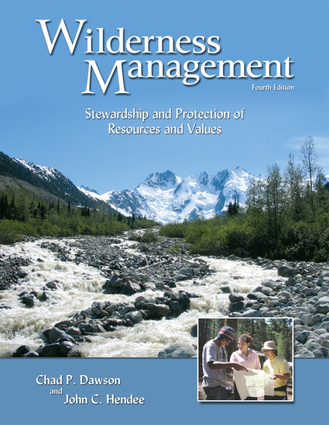 Professor Resource, Recreation, and Tourism, and Director of the University of Idaho Wilderness Research Center, John C. Hendee is editor-in-chief of the International Journal of Wilderness and a director of the WILD Foundation. Chad P. Dawson is professor of Recreation Resources Management in the College of Environmental Science and Forestry at the State University of New York at Syracuse (ESF-SUNY).